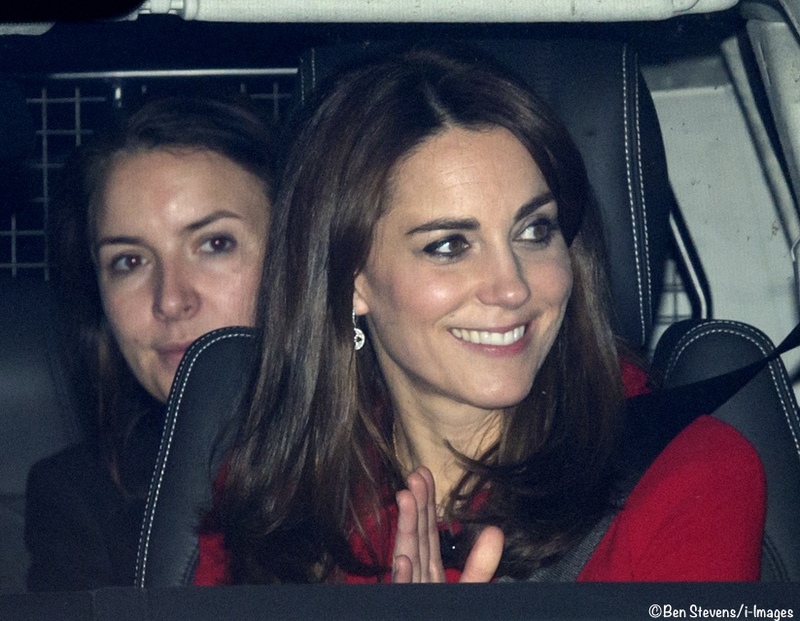 Kate was in another festive look for HM’s pre-Christmas lunch at Buckingham Palace. Philip, who turns 95 next year, announced in 2010 that he planned to gradually stand down from a number of his patronages in order to allow younger members of the royal family to step up to the mark. He still remains patron or president of a staggering 780 organisations and charities, however. There was a ceremonial handoff at the Palace following the announcement. 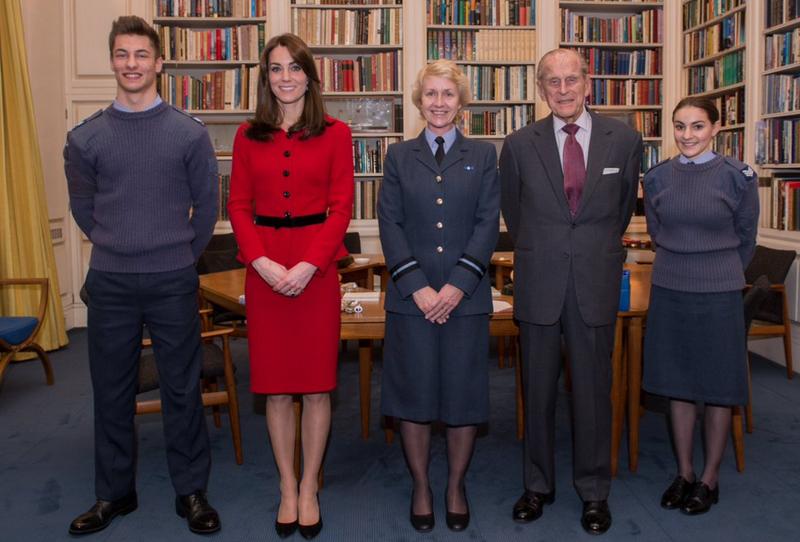 Below you see (left to right) Cadet Sergeant Tommy Dade, the Duchess, Air Commodore Dawn McCafferty, the Duke of Edinburgh and Cadet Sergeant Bronwyn Jacobs. As part of the ceremony Kate was given a book on behalf of the cadets. 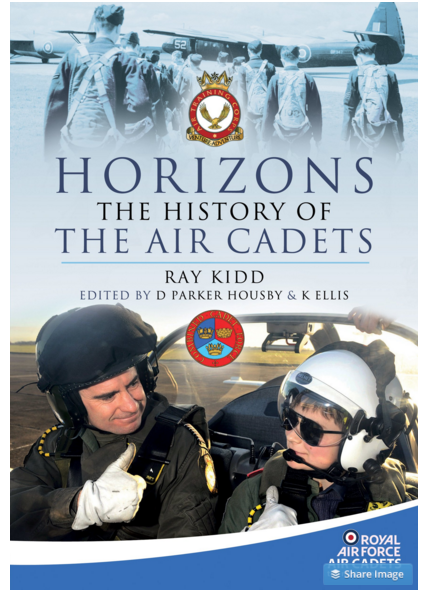 This is the book she received, Horizons – The History of the Air Cadets. We show it at Amazon. 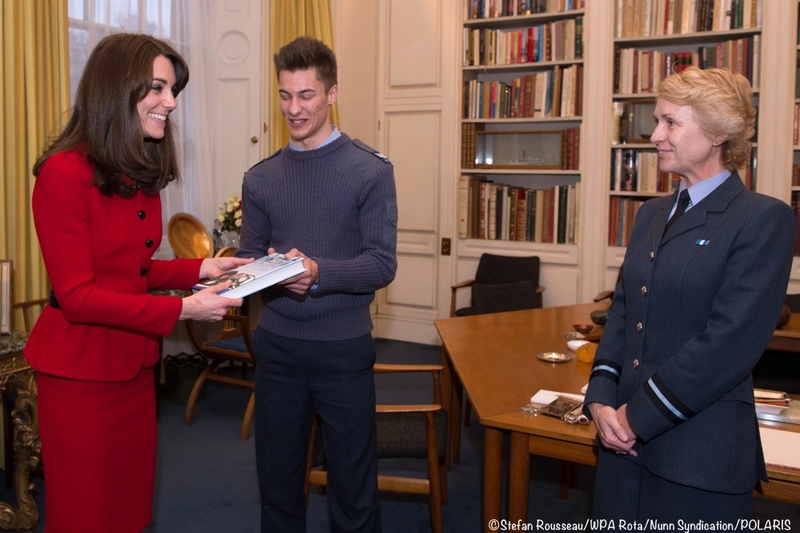 The duchess, whose husband Prince William trained as a helicopter pilot with the RAF, was presented with a copy of Horizons, the history of the air cadets. Kate takes over from Prince Philip just as the Cadets approach their 75th anniversary, with activities planned throughout 2016. 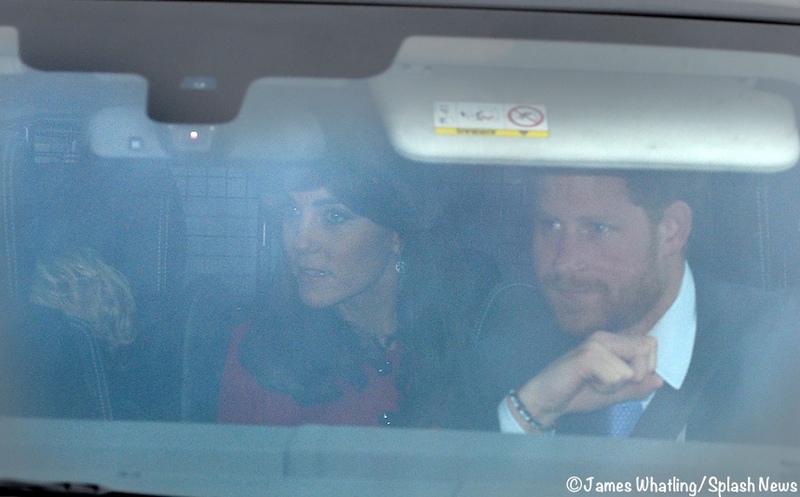 Below, the Duchess arriving with Prince Harry and George for the annual event. 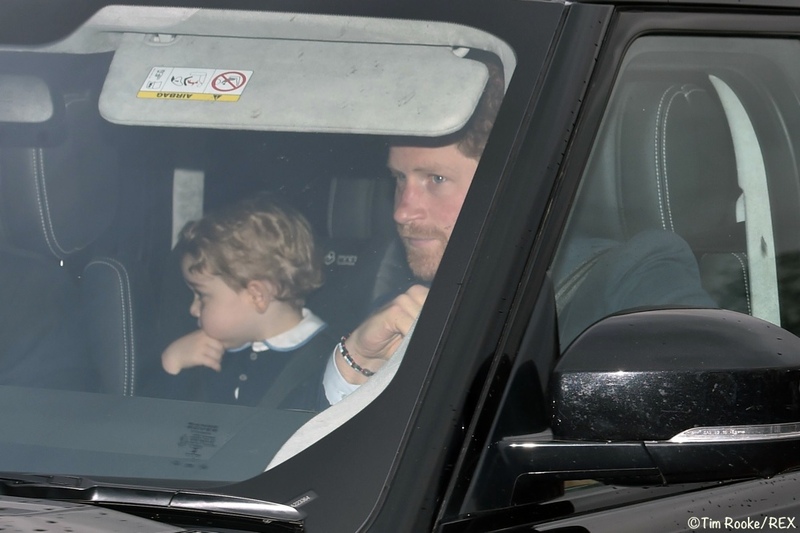 A much better look at Harry and his nephew, Prince George, whose hair is noticeably curlier than the last time we saw him. Kate was in her Luisa Spagnoli dress and jacket, most recently seen in New Zealand in April 2014 during the royal tour; the ensemble was first worn in February 2011 when William and Kate visited the University of Saint Andrews, their alma mater. 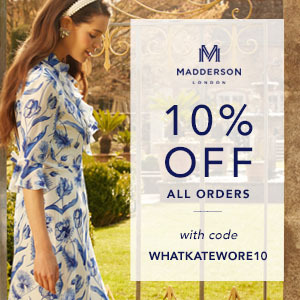 Because of the number of questions I have been receiving about the outfit it makes sense to reprint content from our April 2014 post, starting with images from an eBay auction showing the dress and jacket. 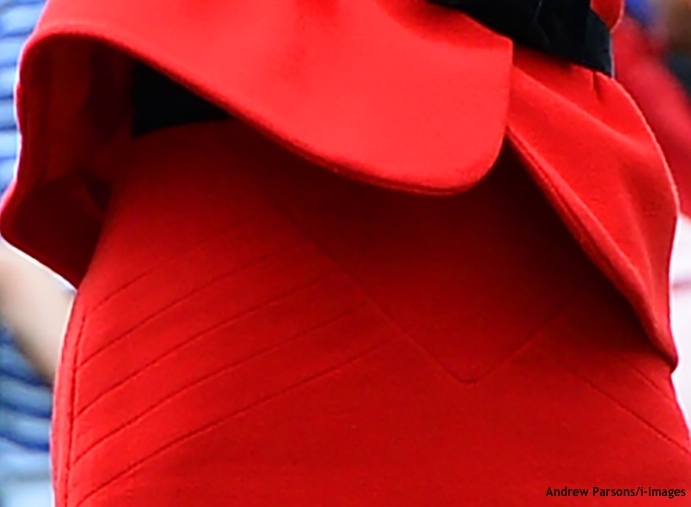 A closeup from the 2014 Tour showing decorative stitching at the hip and what looks to be a skirt waistband just visible under the jacket. Another look at the different hem lengths: the shorter style seen in 2011 (L) and the longer length in 2014 (R). The conclusion several of us came to when seeing the suit again in 2014 was that Kate had the dress cut down to a skirt, thus having enough fabric to provide a longer hemline. A quick repliKate via a fab tip from Janet on the Facebook page for two pieces at Dillard’s. For all of the details on this look check our RepliKate dresses page here. The Duchess accessorized with her Power pumps by Stuart Weitzman. We show the heels as Kate wore them yesterday for the Anna Freud Centre Christmas party, along with the Stuart Weitzman ‘Plunge’ heels at Russell and Bromley, that is what the style is called in the UK. UPDATE Dec 23: We have heard from a reader that the Plunge is *not* the same as the Power pump, it is actually a style created jointly by Stuart Weitzman and Russell & Bromley. The shoe is priced much lower than the Power was: it is £185 versus £235 for the Power. Our reader also notes there are clear quality distinctions: the Plunge sole is synthetic leather as opposed to the real leather used for the Power sole. One other note: our reader says the plunge is a great repliKate with differences that wouldn’t be visible when the show is worn. 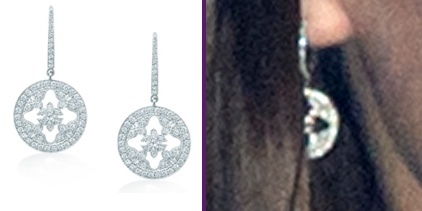 Kate wore her Mappin and Webb Empress drop earrings. It’s possible she had the matching necklace on but I just couldn’t see well enough in any of the photos if that was the case. For those wondering why we have no photos of Prince William at today’s events, he was attending a memorial service for the father of his close friend Guy Pelly. Here is a closer look at that curly head of hair. 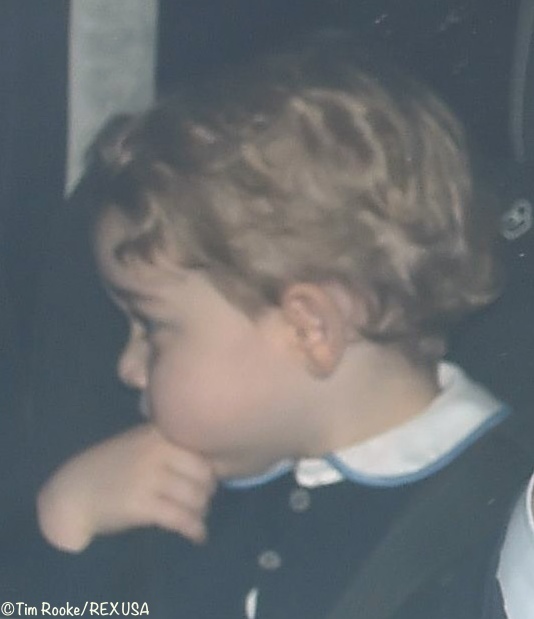 If interested in the details of what Prince George was wearing today, the topic is covered in depth at our sister site, What Kate’s Kids Wore. We leave you with another photo of the Duchess as she leaves Buckingham Palace. We expect to see you again in the next several days with some hoped-for family photos from the Cambridges, it is the time of year when such pictures have historically been released.